The following is based on an articles by Peggy Sheath published in The Vauxhall Society’s Newsletter during 1980. A street market was in existence in Lambeth Walk by the 1860s. In a report by the London County Council dated 6 December 1901, from a survey made that year, it is stated: “It is noticeable that the street markets of London are to be found in the greatest numbers and in the most flourishing condition in the midst of densely populated arid poor neighbourhoods. They fulfil a most useful purpose as they are largely the means by which the surplus produce remaining unsold in the authorised markets is distributed amongst the poorer classes. The first survey of street markets made by the LCC was in 1893, as that body was somewhat concerned about the condition of London street markets at the time. The 1893 report said of Lambeth Walk: “The market was held in that part of Lambeth Walk extending from Princes Road to Regent Street and from East Street to Union Street, a distance of about 230 yards…. “It is a densely populated district consisting almost entirely of third and fourth rate property. There are several large pottery and other works in the immediate neighbourhood and the residents in the district consist chiefly of artisans and the labouring class. 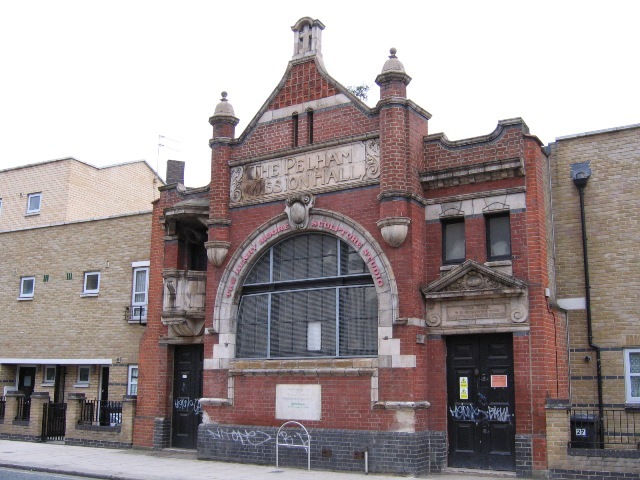 A few of the above stalls belong to shopkeepers of Lambeth Walk who trade in vegetables and meat. “The roadway is about 20 feet wide for about 70 yards where the stalls are on both sides of the street and about 7ft. is occupied by the market. For the remaining portion of about 160 yards, from 3 feet to 4 feet is taken by the stalls, leaving about 13 feet and 17 feet respectively for the vehicular and general traffic, which is not seriously inconvenienced except at the narrowest part”. In spite of the observation in 1893 that the market was slowly declining, the LCC report of 1901 said it had enlarged to 70 perishable goods stalls and 45 non-perishable goods stalls, and was “considered to be a boon to the district and no steps have been taken to remove it”. A tiny ramshackle stall filled with dusty tins of boot polish, strong packs of laces and a few stale pieces of soap; on guard was a very young woman with a pram and a baby each side of her. Her face was deathly pale underneath it’s coating of grime. A fish stall reeking horribly, with nothing but three pieces of dogfish laid on the boards. A man dusted off the fish with an oil-stained rag. A vegetable stall with bananas half-opened to show how good they were to eat. China cups at a penny, but with no saucers. Goats’ milk and live eels. Home-made wines by the glass; cordials at 1d and 2d per glass. The people looked half starved. The writer of this article has been able to draw on the memories of people in the district for other information about the Walk. It is generally remembered as incredibly poor but seemingly cheerful; the poor knew each other well and helped each other out. Rooms were let for 2/6 [two shillings and sixpence] per week in the 1930s and if tenants could not raise the money, in would come the bailiffs and the workhouse was the alternative. One informant remembers as a child going with her friend to wave to an old lady in the workhouse; the old lady was the child’s grandmother. She cannot recall it as an unhappy occasion. Another memory is of her mother helping a distressed neighbour by removing the best blanket from her bed and sending one of her 12 children down the Walk to Harvey & Thompson, pawnbrokers, with instructions to say that mother wanted 2/6 until Saturday. The money was given to the neighbour for her rent, and the blanket replaced with a sheet of brown paper on the bed. Every Monday morning women queued up to pawn their articles of clothing to get a few shillings to take them through the week until pay-day on Saturday. In 1916, Harvey & Thompson had three pawnbroking shops in the Walk, at Nos. 107, 109 and 209 so business must have been brisk. Leisure time was spent in the pubs, and there were well over a hundred in Lambeth, four of them in Lambeth Walk itself. These pubs served a useful social purpose because of the overcrowded conditions in the homes. A friend of the writer’s can remember being hungry at times when a child and would have to go to the butcher in the Walk and tender food relief tickets for meat. She remembers vividly the ignominy of waiting at the back, preference being given to cash customers. There were lodging houses for the impecunious, and if one had not the cash for a bed there, the alternative was the “Tuppenny Lean” – a room where the proprietor placed a rope across at about shoulder height for the patrons to lean on and have a sleep. If they had not cleared off in the morning, he had an expeditious way of emptying his lodging house of leaners. he simply let down the rope! In the 1920s, you could fill your bags with groceries for less than 10/- (ten shillings – 50p); the shops remained open until at least 9pm and the streets were full of laughter and singing in the pubs. You could get your supper by taking any of your bed linen to the pawnbrokers and managing to ‘rough it’ for a night or two. The Walk now has a 1960s-built shopping precinct, and the remains of the old buildings there are fast disappearing. Behind the fortified monolith of concrete, brick and glass the informed observer can, every now and then, catch a glimpse of a more romantic past in the names of some of the places in and around it. Old Paradise Street reminds us of its 17th century fields, Walnut Tree Walk of its market gardens, Sail Street of the mill that stood there for many years, and Beaufoy Technical School reminds us of the benefactor of the Ragged School. The High Street opposite St Mary’s church recalls that once there was a village known as ‘Water Lambeth’, and to that same parish church men and women for nearly three hundred years came from Lambeth Walk.Update: the shopping precinct failed to meet local needs and by the 1990s many of its shops were boarded up and the street market had all but disappeared. Some redevelopment has occurred but the area still lacks many basic amenities. Hanoverian London by George Rude. London Markets – Special Report of the Public Control Committee, 1896, LCC Official Publications, Vol 3.